Join thousands of customers in creating your own custom canvas prints! Create your custom photo on canvas in minutes with our Easy Canvas Prints design tool. Image retouching available by our team of art professionals. Choose from standard .75" or gallery wrapped 1.5" finished sides. 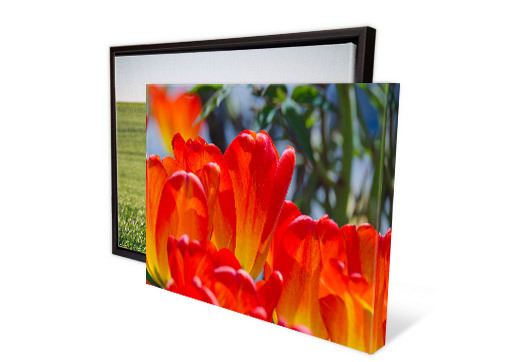 Custom canvas wrapped sides with image wrap, mirrored wrap, or custom hex code colors. Custom canvas prints will be your new favorite gift or piece of art! You can completely customize your canvas prints by uploading any image to an array of size options, picking your depth, and choosing a custom border. Order today!